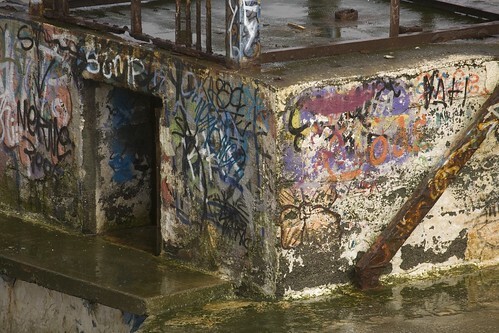 URBAN DECAY - BLACKROCK BATHS, originally uploaded by infomatique. Blackrock has a station on the Dublin Area Rapid Transit (DART) line, which is 15 minutes away from the city centre, and runs on the track that was built in 1834 as the Dublin-Kingstown railway.Dublin Bus also serves the area with multiple bus routes. Rock Road was once directly beside the sea, and the railway line was built about 50 metres from the coast, giving the impression that the trains were running on water. However, the intervening area soon became marshland, and the area between Williamstown and Blackrock became Blackrock Park. More recently, in the 1980s, the Blackrock bypass, part of the N31 which joins the ferry port at Dun Laoghaire to the national Primary Route network was built.